Apart from the first week in January, when half of Turin descends on Champoluc, this resort remains largely uncrowded. 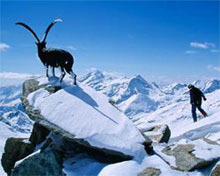 It's part of the Monterosa Ski area, in the Aosta Valley, with a combined total of around 200km of runs. Champoluc is a very Italian venue, with good food and après-ski, which revolves primarily around restaurants and bars. It's generally pretty quiet, with top scenery and largely intermediate skiing. There's some decent off-piste for better skiers, but you will have to cover large distances to get at all of the available tougher stuff. Champoluc makes for an ideal family resort, but one recent visitor complained of less-than-satisfactory childcare. The ski school is good, but the lack of foreign languages spoken by instructors in Italy can be a slight stumbling block. Overall, Champoluc is very much an unspoilt resort, with lots of lift-linked skiing, best suited to intermediates. 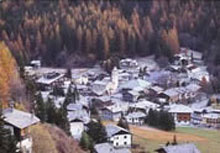 Unspoiled village within the Monterosa ski area. Has some excellent off piste skiing.